While “crazy nightlife” and “burgeoning food scene” aren’t the first words that come to mind when thinking of Punxsutawney or Youngstown, there are plenty of spots around Pittsburgh deserving of those accolades—and one doesn’t have to travel too far to find them. From actual ghost towns to a charming amusement park to a historical golf course to breathtaking hikes, there are plenty of awesome ways to fill a Saturday, and they’re just around the bend. Photo courtesy Old Economy Village. 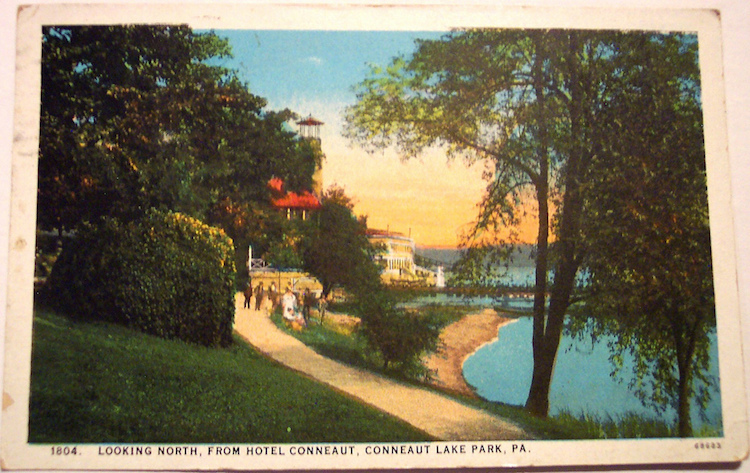 Head 20 miles northwest of Downtown Pittsburgh and you can travel back in time 100 years. Old Economy Village was established by the Harmony Society of Germany in the 1820s after they fled to America to escape religious persecution. The town is now a designated National Historic Landmark. 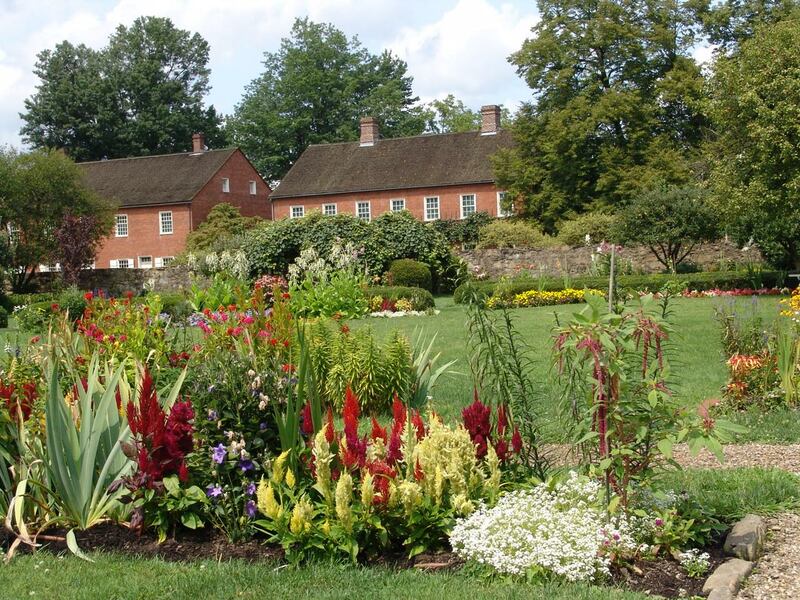 Visitors to Old Economy can tour the museum and the homes of the Rapp family—the founders of the Harmony Society. Cobblestone streets wind around historical water pumps, shops and more. Tours of Old Economy run regularly Wednesday – Sunday, from April to December. Sandwiching I-79 as it passes by Rose Point, PA are two state gems: Moraine State Park and McConnells Mill State Park. McConnells Mill is known for its rock climbing and hiking and great scenery. The park has numerous hiking trails, but visitors should look out for Slippery Rock Gorge, a beautiful 6.2-mile gorge that runs through the center of the park. Also keep an eye out for for the 19th-century gristmill that the park is named after. 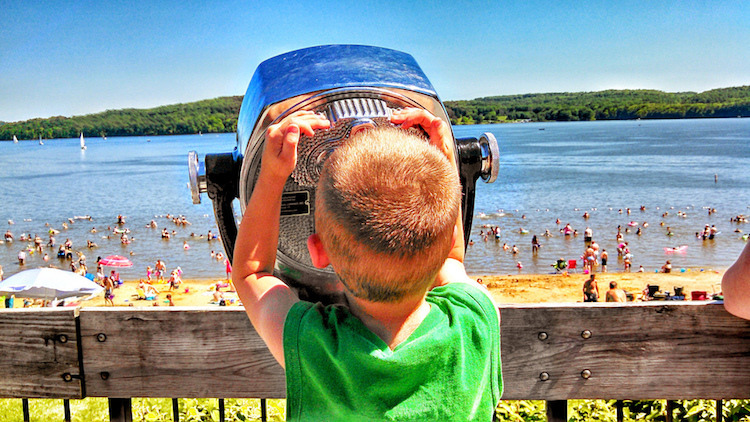 Nearby Moraine State Park is famous for its beaches and plethora of water activities. It is easy to visit both parks in one day—hike the gorge in the morning and then swim or sail at Moraine State Park in the afternoon. Photo courtesy Indiana County Parks. 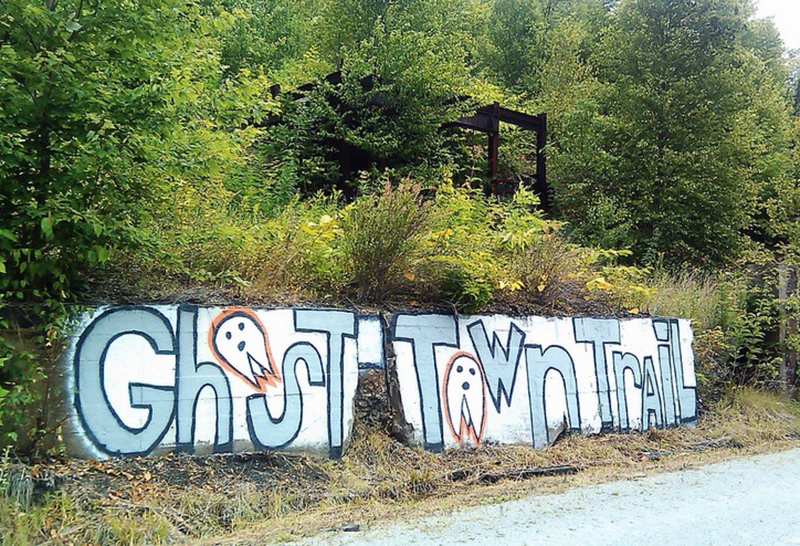 Starting in Black Lick, PA, cyclists with nerves of steel can ride a 36-mile bike trail through several Pennsylvania ghost towns. These areas are former coal towns that were abandoned in the early 1900s. Riders pass the crumbling remains of homes, hotels, hot blast iron furnaces and even what is left of a turn-of-the-century bank vault. The trail ends in Ebensburg, PA. Those who do not wish to bike back 36 miles to their starting point might find it convenient to have a friend drop them off in Black Lick, and pick them up later in Ebensburg (a 90-minute drive from Pittsburgh). There are a lot of surprising things that can be said about Youngstown, including “Another coffee shop?” Between the art galleries, gluten free bakeries and pressed juice bars, it is clear that a lot is happening in this small town. 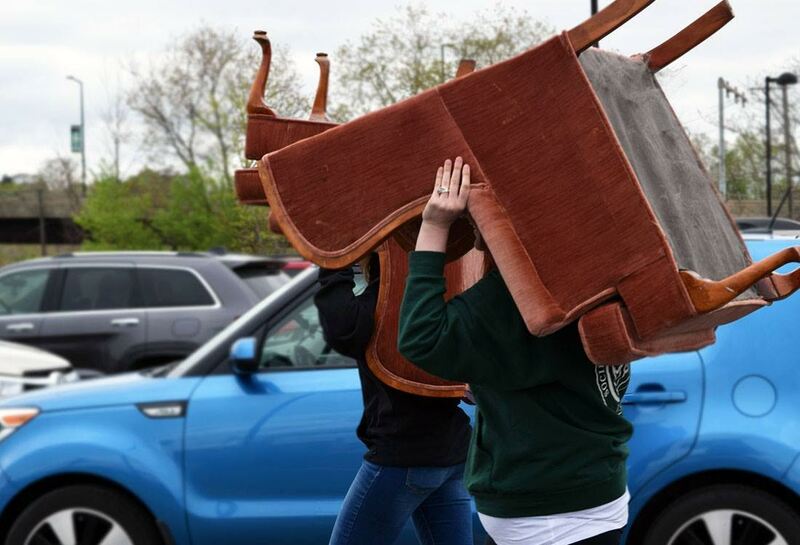 It’s worthwhile to make the trip for the Youngstown Flea Market, which is held monthly during the summer. This market brings together a collection of local artists, musicians, vendors and antique sellers. Try trendy coffee shops like Nova Coffee Company, Culture House Coffee, Stone Fruit Coffee and Branch Street Coffee Roasters. Restaurants to check out include Mission Taco (for tasty tacos), Gordy’s Sandveech Market (sandwiches), the Orange Avocado (pressed juices), Suzie’s Dogs & Drafts (hot dogs) and the Kitchen Post (from ramen to tacos). The Butler Institute of American Art and the Soap Gallery are also worth a look. As Youngstown moves forward with revitalization efforts, more projects are popping up—for example, plans for a downtown amphitheater are in the works. Finally, no trip to Youngstown is complete without exploring Mill Creek Park and Lanterman’s Mill, the most photographed landmark in the city. Photo courtesy of the Smicksburg/Indiana County Tourist Bureau. Smicksburg is a small Amish settlement located one hour outside of Pittsburgh. Life moves slower in Smicksburg, and as you approach the town, you’ll pass horse-drawn buggies, tiny schoolhouses and acres of farmland. The area has numerous shops, and Smicksburg is an excellent place to purchase handcrafted furniture, quilts, pottery and homemade treats, as well as to learn more about Amish heritage. 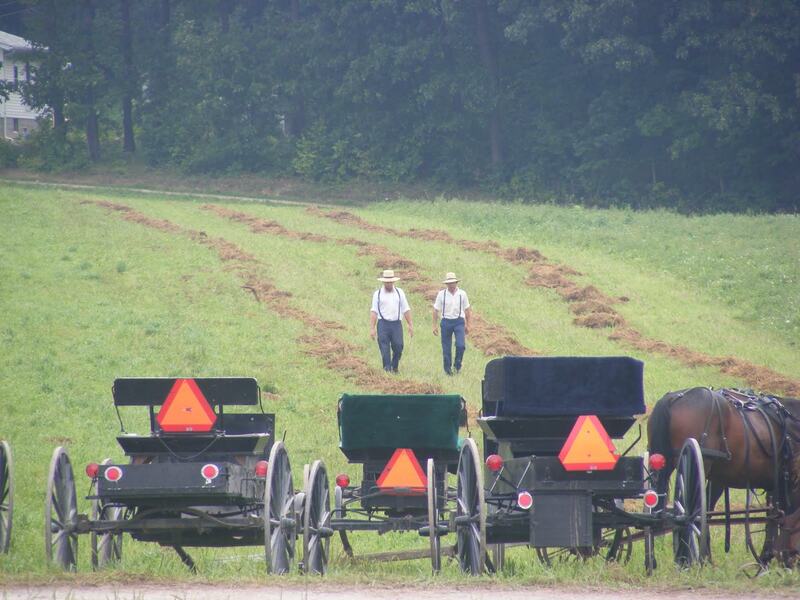 Remember to be respectful and not photograph the Amish residents, or their belongings, without their permission. Just 20 minutes north of Smicksburg is Punxsutawney, PA, best known for its most famous resident, Punxsutawney Phil. Phil emerges every Groundhog Day (February 2) and predicts if we will have an early spring, or six more weeks of winter. Most Pittsburghers don’t realize that Punxsutawney, and its annual Groundhog Day celebration, are only 1.5 hours northwest of Downtown Pittsburgh. Leading up to Groundhog Day, thousands of visitors pour into Punxsutawney and party all week (and all night) in anticipation of Phil’s great prediction around 7 a.m. Groundhog Day in Punxsutawney is an adventure that must be experienced at least once in a Pittsburgher’s lifetime. Meadville, which is home to Allegheny College, is a worthy day trip from the big city. Bring your growlers since the original VooDoo Brewery is located there, along with Timbercreek Tap & Table and Sprague Farm & Brew Works (in nearby Venango, PA). 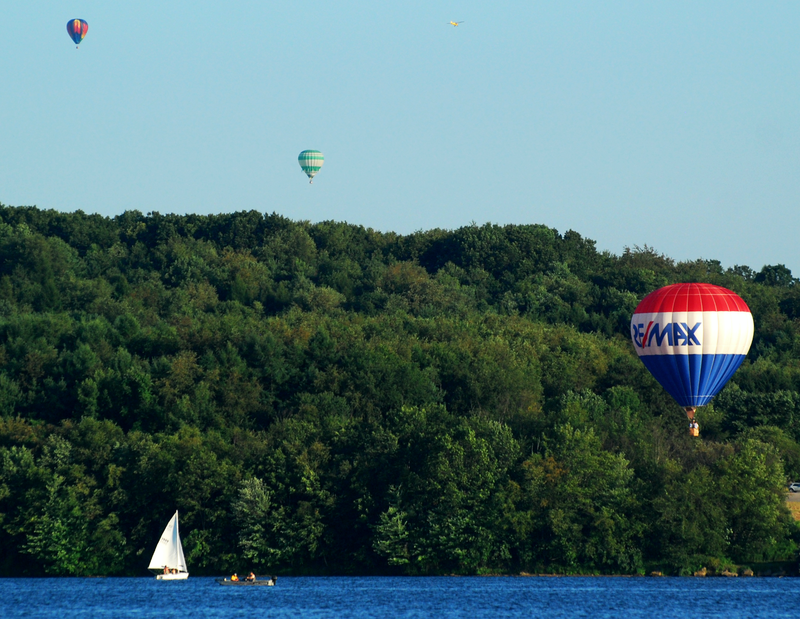 Meadville hosts a hot air balloon festival every summer called the Thurston Classic. For the 2017 Thurston Classic on June 15-18, around 25 hot air balloons will fly over Meadville.